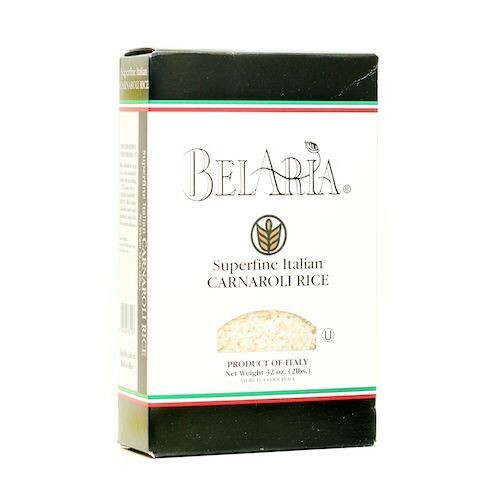 Carnaroli Rice is a plump white Italian rice that is grown in the Italian regions of Lombardy and Piedmont. It is perfect for making risottos due to its high starch content, which allows it to absorb a lot of liquid and still keep its shape. It absorbs flavors well and gives a creamy consistency to risotto and is preffered by Chefs because it resists over-cooking.